Florida beckons to take the chill out of winter with its mild weather, gorgeous beaches, and great attractions. It is the perfect time to take an RV winter vacation and get away from the hustle and bustle of the daily grind. Getting out on the open road offers a needed break, an adventure that clears the mind and boosts inspiration. The west coast of Florida is a good place to start your getaway. While in Sarasota, Florida, there are many things to do, so you should consider spending some time here. If you have children with you, you will most definitely want to stop and see the Children’s Garden & Art Center. Both boys and girls have a wonderful time playing here. There is a fairy garden where the little ladies can engage in make-believe and a tree fort for the young men to let their imagination run wild. Both kids and adults love the Crowley Museum and Nature Center because you learn all about the early settlers in Florida, and there is nothing quite like getting that taste of history to make your trip all the more interesting. Prior to continuing down the coast, also visit the Big Cat Habitat and Gulf Coast Sanctuary. It is wonderful to see the lions, tigers, and other animals that were rescued and can now live happy lives. The weather in Florida during the winter months can vary greatly; but more often than not, you’ll find very mild weather conducive to a visit to the beach. At Fort Meyers there are some wonderful beaches, and you can also enjoy plenty of shopping and fine dining. Marvel at the amazing sunsets over a glass of wine. You will find more shopping at Cape Coral, just a hop, skip, and a jump away. Two more places to stop before you reach the Everglades – the Matlacha Pass National Wildlife Refuge with a wide array of wildlife, sea life, and birds and Collier-Seminole State Park with one of the largest mangrove swamps anywhere. But be prepared for the Everglades, as there is no other park that matches the wonders of this one! Everglades National Park gives you the opportunity to enjoy so much of nature. You will, perhaps, glimpse a Florida panther. You might come face-to-face with a gentle manatee or see an American crocodile in action. You can learn more about the park and what to look for by stopping by the Ernest F. Coe Visitor Center Gallery. Of all recreational activities available in Everglades National Park, hiking is one of the favorites. There are numerous hiking trails where you can traverse the unique landscapes. If you love birding, the Bear Lake Trail is the one to take; and if you want to see mangroves and open coastal prairie, take the Christian Point Trail. You will find this Florida winter RV vacation to be fabulously relaxing. It is going to be one that will stay in memory as one of your favorites! 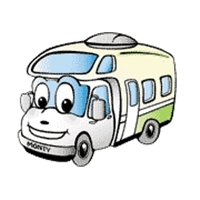 For information on booking an RV Trip near Sarasota, Florida, – CLICK HERE or if you need to rent a motor home outside of the state of Florida, CLICK HERE. Picture credits: The picture of Sarasota, Florida, is from Flicker Commons by Jim Brickett. It is licensed under the Creative Commons Attribution license. This entry was posted in Florida RV Camping Vacation, National Parks. Bookmark the permalink.